For the second week in a row, Paige Pierce walked-off the course after securing a win on the final hole of the tournament. 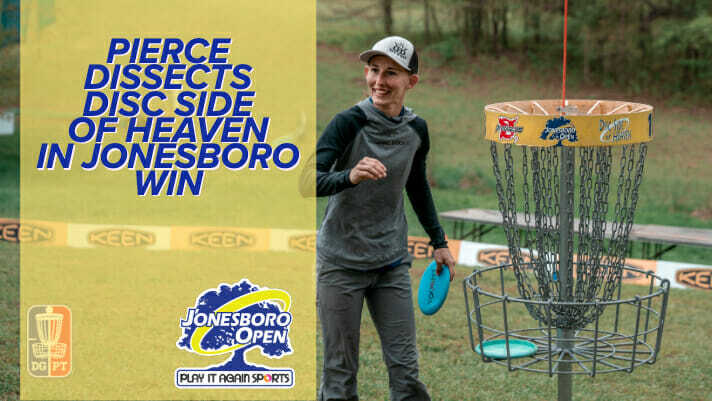 This week’s mic drop came at the Jonesboro Open with a birdie on the most difficult hole at the Disc Side of Heaven. Before Pierce could get to the victory, she had to battle back into the lead, and then hold off a group of women collectively playing some of the best golf we’ve seen from the Open Women’s division all year. Starting two strokes off the lead on Sunday, Pierce was looking up at three players — Catrina Allen, Henna Blomroos, Rebecca Cox — who had recorded 1000-rated or higher rounds the day before. Despite their strong play, Blomroos and Cox were several extra strokes behind the leader by hole 5 and would not catch up. And due to a swing of fortune, it was Pierce who was now in the lead by three strokes after getting her third birdie of the day, and Allen carding a double bogey on the par 3 for the big shift in scores. Allen was quick to recover, parking three of the next four holes while birdieing each to tie things back up with Pierce in first by the turn to the back nine. The duo was now four strokes clear of the field and sprinting toward the finish. Play was steady, and Pierce had built back up a one stroke advantage through 13 holes. However, she decided to be aggressive and challenge the green on hole 14, crossing the OB “river” about 100 feet in front of the pin. 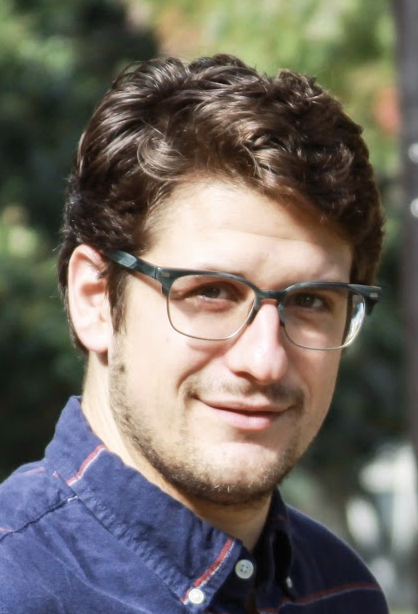 The drive flexed down the right side and was fading back left toward safety, but as the disc neared the ground, it struck an OB stake and bounced backward, settling in the out of bounds territory, inches from an easy up-and-down for birdie. Allen, who had played the lay-up, perfectly executed her upshot for the birdie, and Pierce scrambled to salvage par, and things were tied again. Scores remained that way as the group approached a backup on hole 16. After about a 20 minute delay, Allen was safe off the tee, and Pierce, attempting a forehand, had her finger catch on the disc rim and put down a throw-ller. Pierce was forced to pitch-out before attempting to cross the water, but still found her lay-up in a bad position, and didn’t make it across water on her first attempt. She double bogeyed and left things open to Allen. Allen was unable to take advantage, missing the water carry on her first approach as well. Her drop zone approach was wide left, leaving a two-putt on the green and no strokes gained from Pierce’s miscues. Stepping up to the par 5 hole 18, with scores still tied, Allen teed first and was clean off the tee but not in a position to realistically birdie. Pierce was aggressive again, and pured the straight fairway to find herself with a clear approach. As Allen pitched her way up to Circle 2 for a long look at a 4, Pierce had kept control of her shots and was sitting about 20 feet out for her birdie. Allen gave it a half bid and missed; Pierce calmly nailed the putt for the win. Pierce was only shooting 50% from Circle 1X in the first two rounds, but improved it to 70% in the final on the way to a 1008-rated, 5-under par 61 and a 17-under par 181 total. She led the tournament in fairways hits, C1 in regulation, and C2 in regulation. Pierce was also able to avoid the big numbers on holes, a common mistake of her play style. Allen was second at 16-under par 182 total. She led the event in birdies and averaged 990-rated golf. Blomroos was third at 13-under par 185 total, and Cox was fourth at 9-under par 189 total. Comments on "Pierce Averages 992 Rating In Jonesboro Open Victory"